You have a business to run. You depend on IT services but that is not your core business function. Your IT functions is our business. That is what we do. 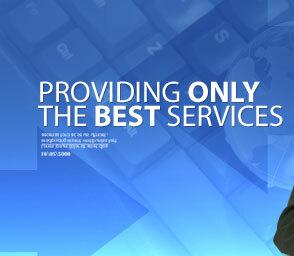 With our long established expertise in computer technologies, our highly-praised IT service provided with dedication and care in mind, you will come out a winner! Furthermore, our enthusiastic team will ensure your budgeting needs will be truly reflected with the latest technology so that your venture will always be ahead in your industry. Give us the opportunity to contribute into your company’s growth and make an impact to stand out today and into the future! We are proud to share your glory! Acquired HP Business Partner status . Became Xerox Authorized Reseller . We are proud to be in partner with many respectable players in the IT industry. Combining LANSOL’s unique approach to push their products with our award-winning services, we will conquer beyond the boundaries.